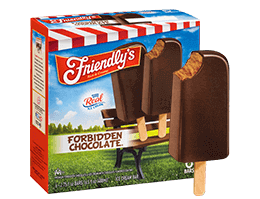 Standards are standards for a very tasty reason. 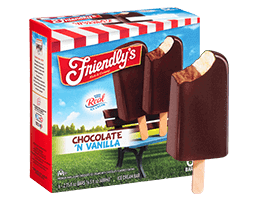 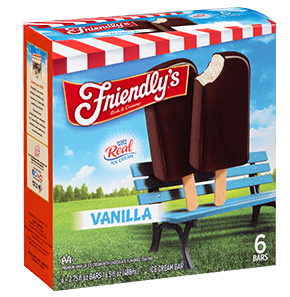 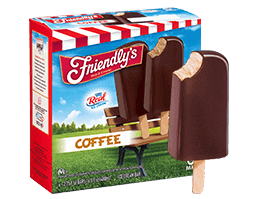 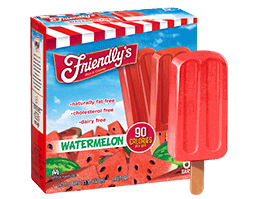 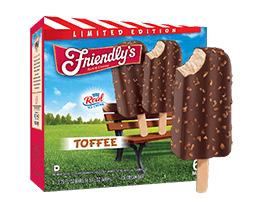 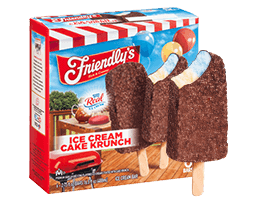 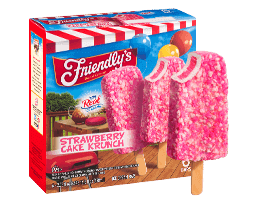 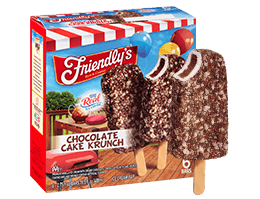 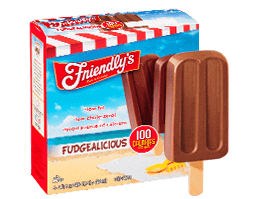 Who can resist premium, Friendly's vanilla ice cream, covered in chocolate flavored coating? 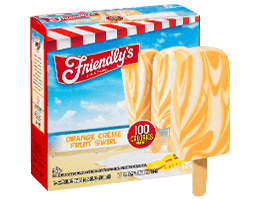 Milk, Cream, Skim Milk Solids, Sugar, Corn Syrup, Whey, Mono And Diglycerides, Guar Gum, Cellulose Gum, Carrageenan, Vanilla Extract, Annatto (Color).Wafer Ingredients: Bleached Wheat Flour, Sugar, Palm Oil, Caramel (Color), Dextrose, Cocoa (Processed With Alkali), Contains 2% Or Less Of: Leavenings (Baking Soda, Monocalcium Phosphate), Modified Cornstarch, Salt, Red 40, Blue 1, Soy Lecithin, Artificial Flavor.